My girl said she admires my Tolerance especially with her dad! Last weekend my daughter said she admired my Tolerance level especially with her dad. I do ignore some of the rubbish he comes out with when he has been drinking knowing that he's still a very kind and lovely person when he's sober! We have been together for 30 years now and in 2 months will have been married for 19 years and all good relationships require tolerance at times! Anyone else know that tolerance with your man? Or other family member? I am strong in so many ways! My Insta challenge in January went well overall with 73% on plan, 24% mostly on plan and only one day (3%) totally off plan! Lets be honest I am not trying to lost weight but to maintain so was pleased overall. I did notice that Wednesdays were the most risky days so I need to plan for these days, on the past two I have been determined and made good choices. Also proud to have finished the 100 DWL challenge today and have posted for all 100 days, not all on the days, as it was really hard over Christmas but I've learned a lot about myself and have laminated some hints to remember which I posted on day 100. Still loving my aqua and working really hard with it and the nsv of how it is helping change my body I am loving too! My job is still going well and I'm really looking forward to my two days off with my hubbie and children next week. My MiL still doesn't know, don't want her to worry. I think we could all do with a bit more tolerance in our lives both in giving and in taking. I really admire how you cope with everything that's thrown at you. 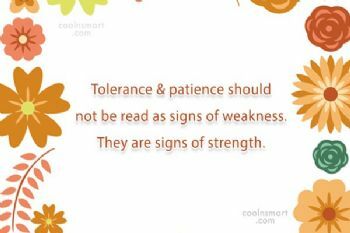 Tolerance and patience will carry you over bumpy roads! 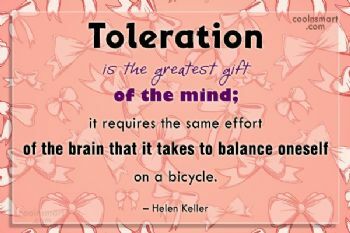 Yes, tolerance can be challenging at times. Sorry to hear you have to be tolerant of his behavior when he is drinking. Enjoy the time off with your family. Being tolerant is a great gift. I know when I'm feeling good about myself I can be more tolerant, but when I'm feeling low myself I can be quite intolerant! I hope you enjoy your two days off with the family.